Here I would like to share this beautiful Pagani Huayra put for sale by Al Ameer Motors in Dubai few days ago. 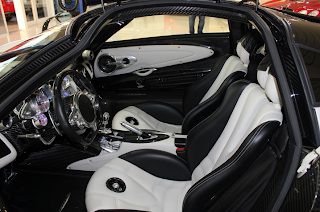 The car is the #005, one of the earliest Huayra built, it is finished in pearl white and visible carbon fiber, polished magnesium wheels, black brake calipers and black and white leather interior with white stitching. In 2012 the car was updated with Track Pack front spoiler. The car was built in 2011 and was showcased at the Geneva Motor Show 2012 and at the Top Marques in Monaco in the same year. 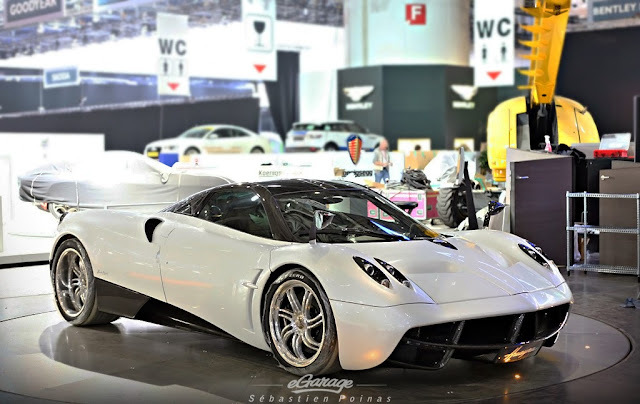 It has been seen on road quite often in Dubai driven by its first owner. The price is not reported but it should be around 1.350.000 €.